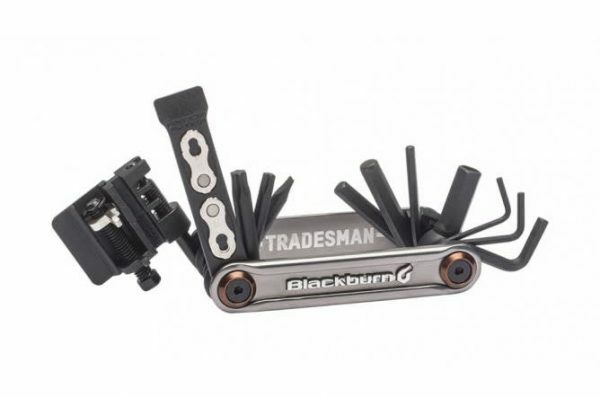 THE TRADESMAN MULTI TOOL LETS YOU FIX STUFF, SPLIT LINKS & WIN KUDOS. Why has no one invented a multi tool that removes chain quick link? Oh wait, we have. 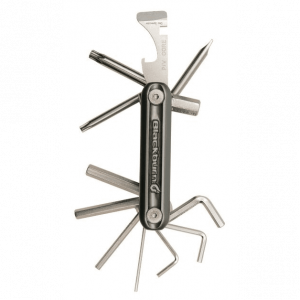 All the hex and Torx keys you’re ever going to need in a portable tool, with the addition of a disc pad spreader and a tool that’ll remove the stubbornest split links. 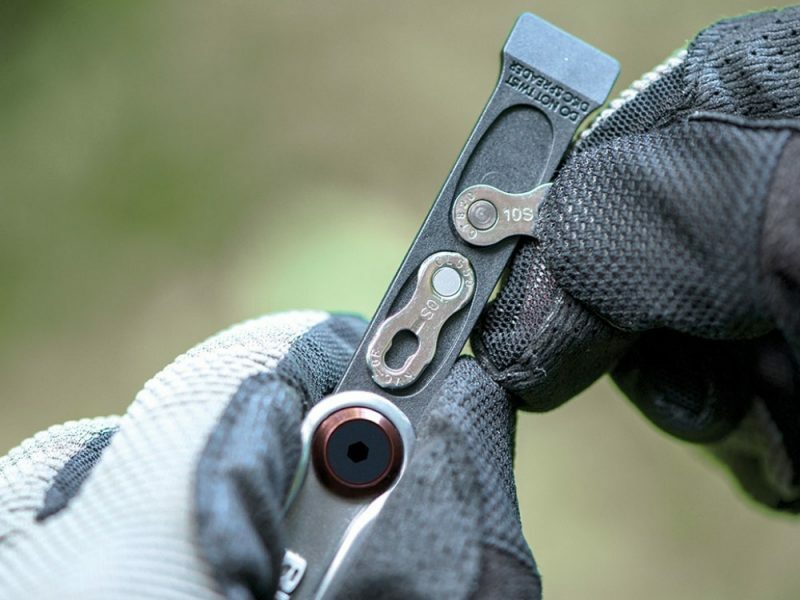 This is the ultimate multi tool for any adventure rider, touring riders, mountain biker, graveler, and bikepacker. The Tradesman Multi Tool, lets you fix pretty much anything you might encounter on the go that can be fix with tools. 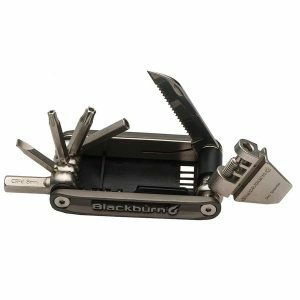 The selection, length and placement of each tool has been carefully thought out so that you have the right tool and can easily use it. Power to your elbow. 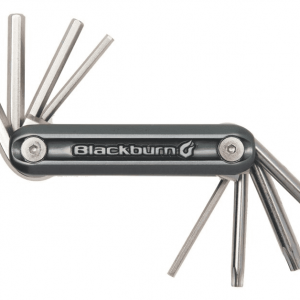 A full set of hex key sizes includes L-shaped 2, 2.5 and 4mm tools for all of those hard to reach bolts that always come loose when you’re not looking. No one wants half a quick link. 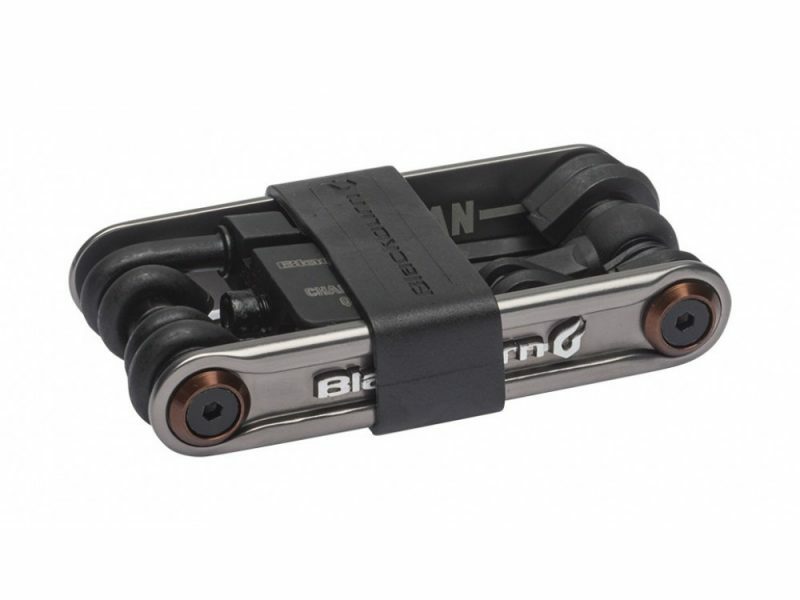 Our integrated storage for a spare link saves you losing half in the bottom of a bag somewhere. Link quick-links quicker. 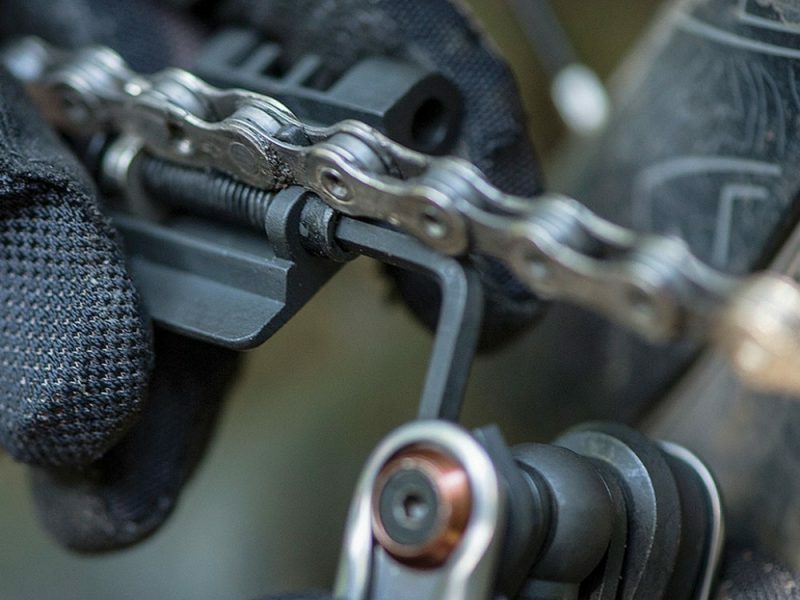 Our unique tool allows you to safely and quickly split quick links on the trail. Something that even a Boy Scout would have a hard time improvising a tool for. An accidental squeeze of a brake when the wheel is out is all it takes to get your brake pistons stuck. Luckily our pad spreader saves the day and keeps you drag-free. This tool has everything you can think of to help you get out of a jam while out and about.